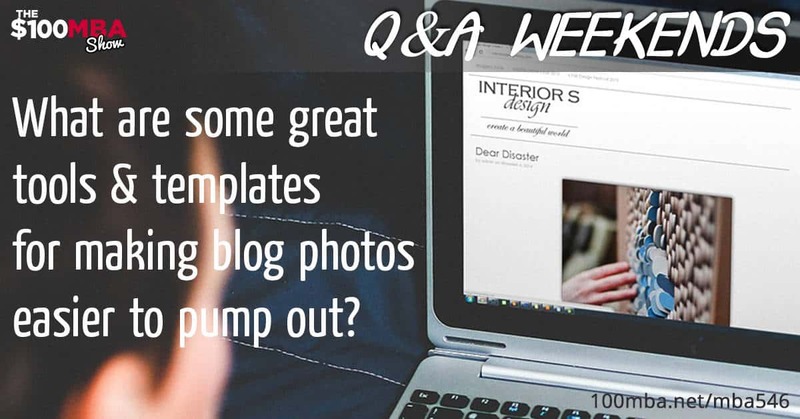 Q&A Weekends: What are some great tools & templates for making blog photos easier to pump out? MBA546 Q&A Weekends: What are some great tools & templates for making blog photos easier to pump out? Most of the time, when you have a feature image or an image that we see at the top of the blog post, you’ll notice that people are more enticed to read your published content. Feature images are quite important because it’s the preview to your post, it’s often the reason why people will want to check out your content. In today’s lesson, we’ll make sure you can create feature images by yourself or we point you to where you can find others to do it for you! Click play to listen now! MBA236 How Important Are Images to Your Business? « Previous Post MBA545 How Do You Hire a Software Developer? Plus Free Ride Friday! Next Post » MBA547 Q&A Weekends: I can’t find a good .com. Is .co, .net or .biz alright?